All Glories to Srila Prabhupad! 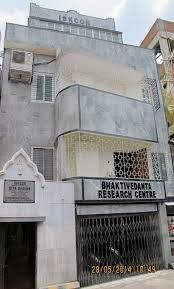 The creation of BRC was the culmination of Srila Prabhupada's direct order and blessing. As early as 1972, He had instructed his disciples to visit Srila Bhaktivinoda Thakura's childhood home in Birnagar (West Bengal) and document any manuscripts, letters, and writings found there. His desire also extended to preserve the ancient manuscripts and writings of our previous acaryas in general. He described it as very important work and stated his willingness to allocate substantial resources to achieve this purpose. 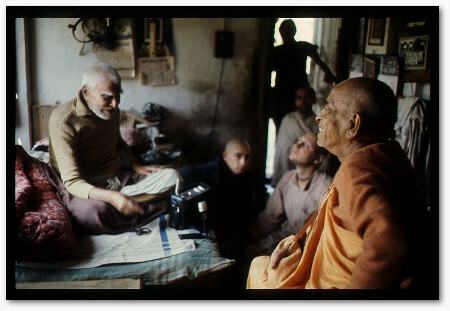 The momentum was delayed until 1975, when Srila Prabhupada had discussed with one of his early Ph.D. disciples, Ravindra Svarupa Prabhu, the possibility of opening a Vedic University in Sri Mayapur. A preliminary requisite for that would be a first class library. 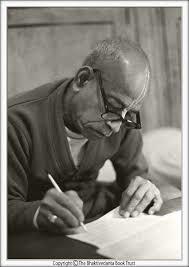 In August 1976, Srila Prabhupada told his disciples in Bombay temple to create a Vedic library. He said it should contain all his own books, those of all the acharyas, as well as the Upanisads and other bona fide Vedic texts. Unfortunately, this wish went unfulfilled for a long time. Srila Prabhupada had also discussed in great detail and at length about the Temple of the Vedic Planetarium (TOVP) that he envisioned in Sri Mayapur. He began a strong push to start this largest project in 1977, shortly before his departure. 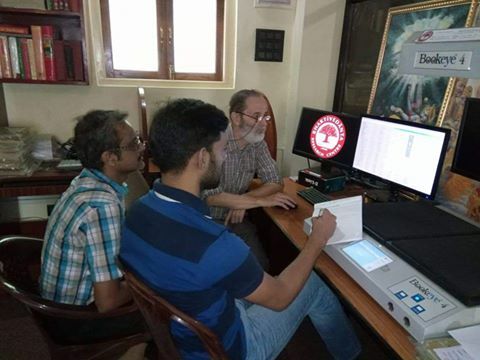 Prabhupad made it clear that a comprehensive library containing all the works on Puranic and Siddhantic Cosmography and Astronomy would be required to supplement the planetarium. In 2008, the Vedic Cosmology team, including BRC's current librarian, Acyuta Prabhu, became aware of a five storey building in central Kolkata, which had been donated to ISKCON Mayapur in 2000 by Sri Madan Chand Shamsukha. He kindly agreed to facilitate the library in the building. Pranava Prabhu, who would later become BRC's Academic Director, had conceived of a major center for the study of all aspects of Vaisnava culture and philosophy. The time for Srila Prabhupad's visions to become ripe had come. 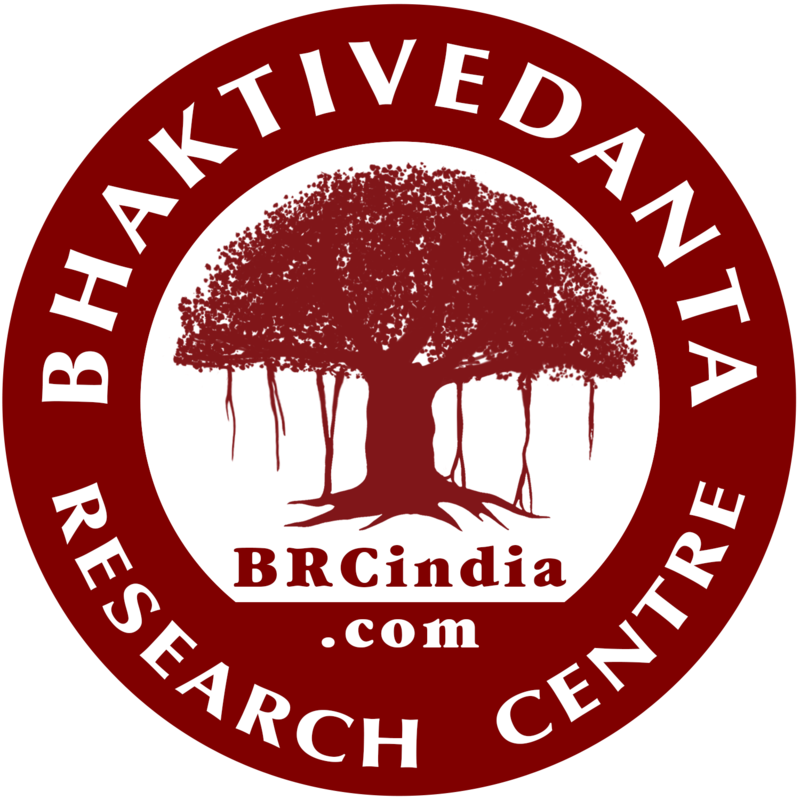 BRC took birth as the combination of the preservation project, the Vedic Library, the TOVP Cosmology Library, and the Vaishnava Studies Centre. After six months of hard work, the library was officially opened by HH Jayapataka Maharaja and HH Bhakti Charu Maharaja on 30 June 2009. The guesthouse was completed several months later and is for scholars, students, and BRC members.